Globecast launches a new satellite platform. Los Angeles, December 2015: Globecast, the global solutions provider for media, has announced that it has launched a new satellite platform on the AMC-11 satellite. As a result, prospective and current clients can benefit from the most powerful orbital position in the US for distribution to cable headends. This is evidenced by the fact that the satellite already hosts over 70 major Tier-1 American channels. The new AMC-11 platform also allows Globecast to offer all content providers a Tier -1 neighborhood and the best possible North American footprint coverage at a competitive price point. 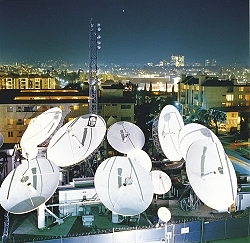 The platform and uplink are managed out of the state-of- the-art Culver City facility near Los Angeles. Sports channel Gol TV, a 24/7 network dedicated to soccer and an existing customer, is the first to have taken the opportunity to transition their HD feed onto Globecast’s new platform. As well as Gol TV, Globecast has signed additional contracts with companies including Revenue Frontier.